Remote-controlled and crewless: is this the cargo ship of the future? A computer-generated image of Rolls-Royce's remote-controlled cargo ship. The future of cargo transportation will be autonomous, according to Rolls-Royce, which has revealed plans for a remote-controlled, unmanned ship that could take to the seas as early as 2020. 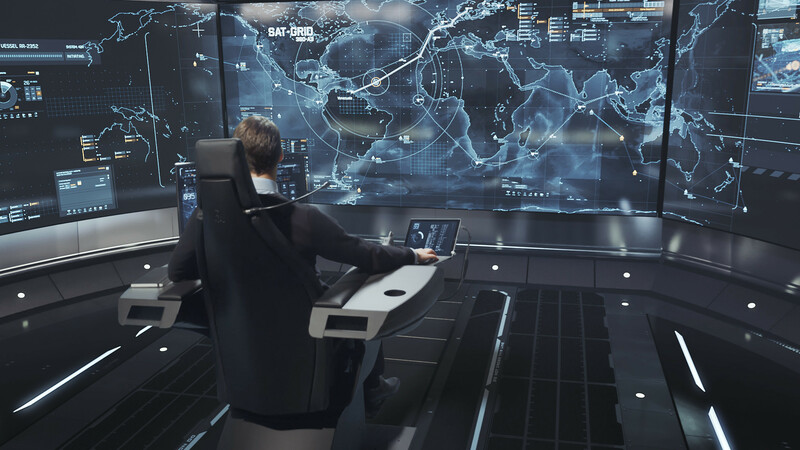 The company, better known for making luxury cars and jet engines, has published a white paper setting out its vision for cargo vessels that can be monitored remotely by a “captain” stationed at an on-shore command centre. The Rolls-Royce-led Advanced Autonomous Waterborne Applications Initiative (AAWA), which brings together university researchers, ship designers and equipment manufacturers, has been testing the technology in Finland. However, before autonomous commercial vessels can be rolled out, there are regulatory and security challenges to address, including piracy. “In principle, anybody skillful and capable to attain access into the ICT system could take control of the ship and change its operation according to hackers’ objectives,” the white paper says. Rolls-Royce says autonomous ships will be safer and cheaper to operate, with more room for cargo. The European Union has funded a $4 million project to develop the concept and in 2014 shipping research firm DNV GL unveiled designs for a crewless cargo vessel. Earlier this year, the US launched its first self-driving warship. Christened Sea Hunter, the prototype is unarmed, but is capable of patrolling the surface of the world’s oceans for up to three months at a time – without a crew, and without being controlled remotely. Does this self-driving warship take us a step closer to robotic warfare?